She is so beautiful! I could totally see her hooking up with Cameron. LOL A happy birthday to Miss Tess! Just think, at only two and unable to speak the mother language of her country, she is still more intelligent than BROWN. Pats and rubs, happy birthday to Tess. Happy Birthday Tess! You should definitely keep with girl goldens if you want them to be "good" and "grown-up" at 3. My Mom still has an 11-year-old puppy, who is btw from Texas. 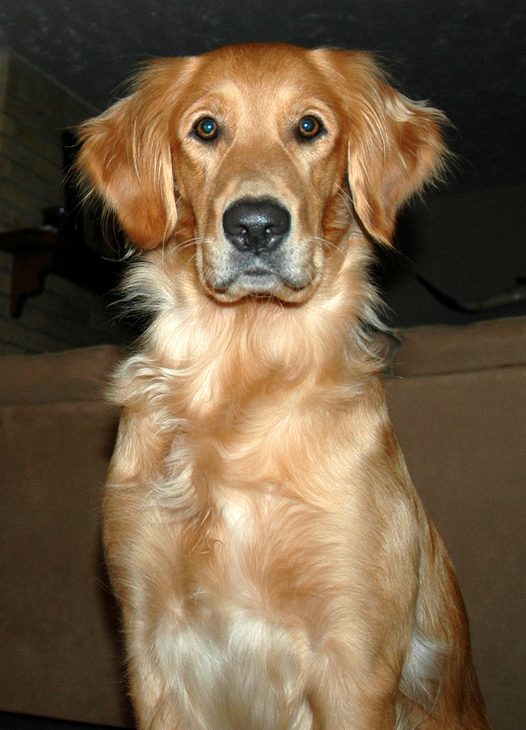 Mystic Goldens, I believe in Midland, was her breeder. Sweetest Tess, she's so beautiful. Do you do anything different or make anything for their birthdays? Don't believe that "good dog" maturity crap for a minute! Mabel will be 6 soon and I'm still waiting! Happy belated Tess! Hope you talked him into some steak!